Resilience is the maintenance or quick recovery of mental health during and after severely stressful life situations. Traditionally, psychiatric research has focused on mechanisms that make people vulnerable and lead to disease and on ways of treating mental illness. Interestingly, however, many people do not or only temporarily become mentally ill despite significant burden from psychological or physical adversity. This suggests the existence of protective mechanisms that can prevent the development of stress-related conditions like anxiety, post-traumatic stress, depression or addiction. Our approach is to understand these resilience mechanisms and to harness them in the service of better disease prevention. This strategy can potentially much reduce individual suffering, dysfunction and economic and social costs. 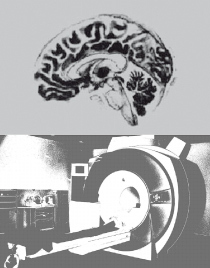 The Mainz Resilience Project (MARP) is conducted by the Deutsches Resilienz Zentrum Mainz (DRZ), with contribution of the departments and/or platforms Neuroimaging Center (NIC), Gutenberg Brain Study (GBS)/Clinical Investigation Center (CIC), Psychiatry and Psychotherapy, Psychology, Human Genetics, Neurology, Biometry and Epidemiology, Laboratory Medicine, Preventive Cardiology, and Microscopic Anatomy and Neurobiology. MARP examines a cohort of healthy young volunteers in Mainz and surroundings who are in the critical transition phase between adolescence/school life and adulthood/professional life. This phase of life is associated with the frequent onset of new stress-related mental disorders. We accompany these individuals over several years and regularly assess their mental health status and the life stressors they encounter. We characterize the individuals with respect to brain structure and function, behavior, stress reactivity, physiology, genetics and epigenetics, personality, social and environmental factors etc. For this purpose, we have developed a dedicated testing battery. Please contact Raffael Kalisch for further information. Ultimately, we hope to thereby identify brain properties and mental faculties that are crucial protective mechanisms. Our results should provide a sound basis for the development of new prevention schemes. MARP is supported by the foundation Ministry of Science of the State of Rhineland-Palatinate and the DRZ.